TDU stands for "Tour Down Under" (officially: Santos Tour Down Under) and “Adel” for Adelaide/South Australia. 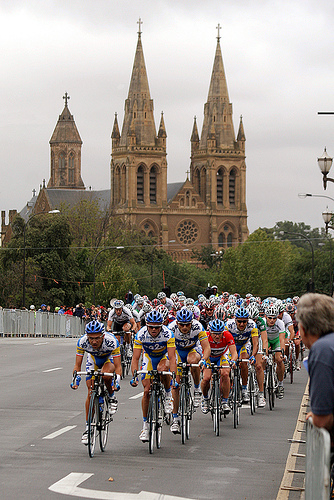 This cycling race on a circuit around Adelaide was started the first time in 1999 and is considered to be the most important in the southern hemisphere. It is doubtful whether other values exist. 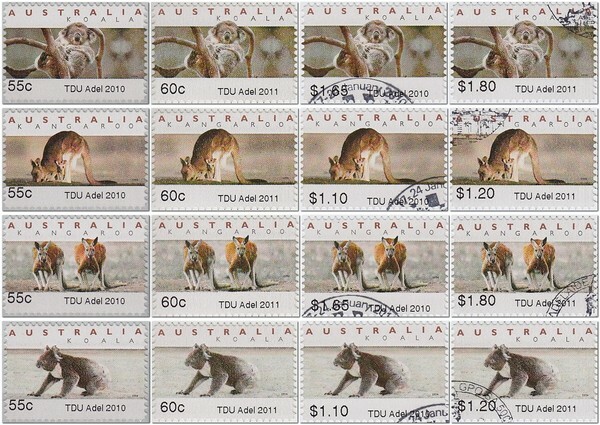 These stamps were originally an experiment of the Australian Post for an electronic sales system. These so called counter-printed stamps were produced by Pemara Labels. The post office of issue and the stamp’s value are printed at the base of each stamp by a special printer developed by Tritech Electronics - therefore also the name TRITECH ATM for these issues. Nowadays these ATM are only used at special philatelic events. Postally used stamps are very scarce since about 2000. They may be found if someone posted an overseas letter as a souvenir for a friend. So, keep your eyes open – not only for TdF (Tour de France) but also for TDU..
Who knows more about the misprint "TDU Adelaide 20" (January 17, 2010)? 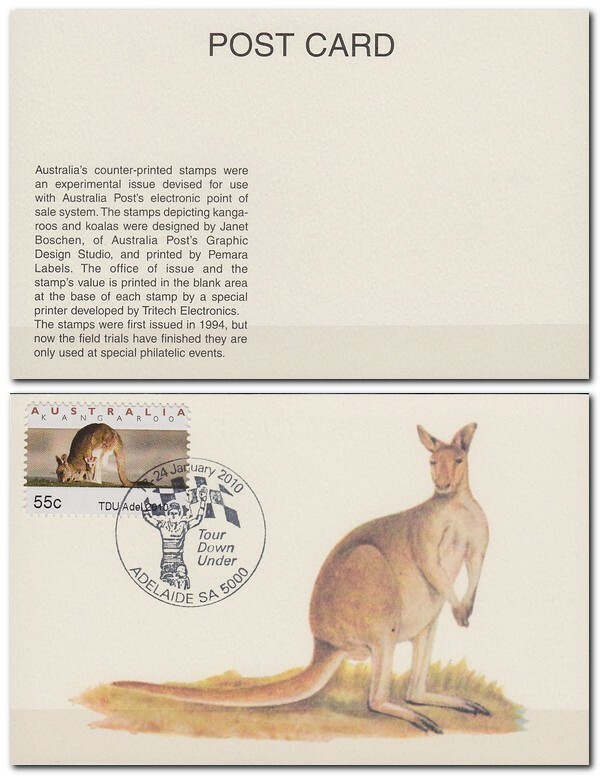 Thanks to Harry and Joy Lower, Greenwith/South Australia (suburb of Adelaide) for providing above information and philatelic material.